It was a Monday and things were going well. He had been able to get a good night's sleep the night before which was pretty topical for Bill. You see, Bill has been working very hard for the past two years on making healthy choices in order to get himself into a healthier lifestyle. He was on a roll with his diet and exercise and had really been watching his intake. After a nice hot shower and a sensible breakfast consisting of a cup of coffee, two egg omlet, a piece of fruit, a quarter cup of granola he gathered his things and was out the door for the office. The office was quiet that day and so Bill was able to get quite a bit of work done. In fact he worked right up to lunch time. Typically on a Monday some of the staff go out to lunch together for an informal staff meeting before the actual staff meeting. The "real" meeting begins at 1:30. This is a two part staff meeting that lasts three hours with a ten minute break at an hour and a half in. On this particular Monday, though, the others were not able to meet so Bill ran out to a local restaurant and had a sensible lunch - a half a cup of chicken salad and a broccoli salad. Getting back to the office just in time for the "Real" staff meeting Bill took part in discussions and reports as normal. Finally break time arrived. Feeling pretty smug about the great job he was doing with his nutritional intake Bill headed for the main office where the break area was and the coffee pot. Low and behold someone had brought in a tray of Lemon Poppy Seed muffins. 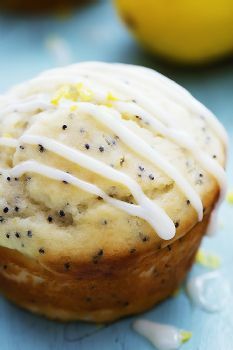 Now of all the muffins that Bill would consider eating the Lemon Poppy Seed is his favorite. He poured his cup of coffee and hesitated at the muffin tray and thought "I've done really well today, I'm going to walk away." Then he rethought his position and said to himself. "Hmm I've really been good today I think I can take one of these and be ok..." Then, on the way out the door the secretary who is very slim and trim said, "are you sure you want to do that given how well you have already done with your diet?" Ooo... that hurt. Rethinking his position for the second time Bill reluctantly put the muffin back on the tray and walked away brokenhearted. Yes, this really did happen. I suppose it is a good thing to have others in your circle who will be there to encourage you when you need encouragement. Although, Bill really wanted that muffin.